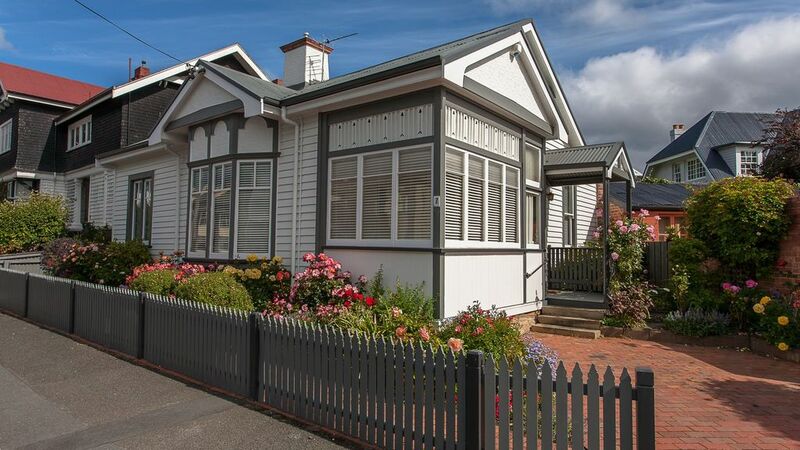 Welwyn Cottage is ideally situated in the heart of Sandy Bay. It is a 20 minute walk (2km) to Hobart CBD and 15 minute walk to Salamanca Place, Salamanca Market and wharf, Constitution Dock and the MONA Ferry terminal. We loved the house - clean, neat and comfortable for a family of four (or two couples), with everything we could have wanted. A two minute walk to any of a dozen restaurant's, Coles or pharmacy makes this a very convenient location. Only fifteen minutes to walk to the Hobart waterfront means you don't have to have a car to get around unless you're travelling out of the city. Clean and tidy with everything you need. We particularly enjoyed the location. Close to everything. We recently spent 3 nights at Welwyn cottage and loved it. The house is beautifully finished and in a fantastic spot. Richard was a great host and touched base to make sure everything was going well. We had never been to Hobart before and we all felt extremely lucky to have picked such a fantastic location. We will be back for sure to stay at Welwyn Cottage. The house is spacious, well furnished and very comfy. Really appreciated being walking distance to a great Thai restaurant, Coles and bottle shop. Can really recommend! We greatly enjoyed our stay in Tasmania and Welwyn Cottage. Very conveniently located, and Hobart is a very walkable city with everything you need close by. Hobart is also a great base to see what Tasmania has to offer - lots of great hikes, good wine and cider, tons of animals - we saw everything from pademelons to parrots! Richard and Judy were quite accommodating. We even made dinner the first night with the basket of Tasmanian goodies they left. The house was very roomy for the five of us (all adults). The skylight over the kitchen brought the sunshine in and made the kitchen space the heart of the house. If it wasn't so far, I would come back to Tasmania as often as I could. Awesome cottage close to the centre of town. We enjoyed our stay, we had plenty of room. Loved the tasteful magazines and books about Tasmania, food and gardens. It was great to have an outdoor area as we ordered uber eats both nights we were there. Normally we would go out, but it felt really comfortable to eat in. The fans were a welcome relief to the extremely hot unusual weather of 37. Everything we needed was supplied. It was a short walk down to the Sandy Bay harbour. Would definitely stay again when we visit Hobart again. Thanks for letting us stay in your home.